Dental cleaning and dental examination are two of the most important steps for maintaining good oral health. While it is always recommended to keep your teeth clean by brushing them twice a day and after eating anything sweet or sticky, it is also important to get a dental cleaning by a professional every six months. Professional cleaning of the teeth significantly reduces the chances of gum diseases and tooth decay. Dental examinations play an important role in identifying dental problems before they turn into major issues. 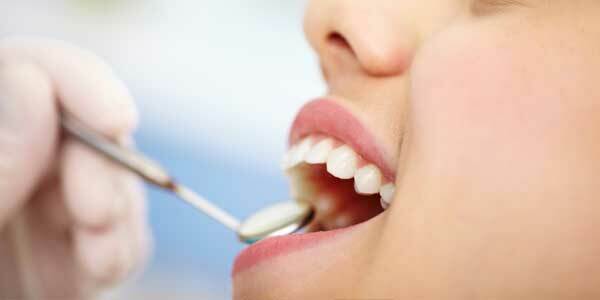 A routine examination involves a dental check-up of the health of your teeth to detect any signs of decay or disease. Moreover, if there is a broken, fractured or misaligned tooth, it can also be identified and fixed before it becomes a bigger issue or too expensive do so. Cleaning of teeth from plaque which forms as a layer over the teeth from food, bacteria etc. Plaque is harmful for the teeth as it causes the tooth to decay over time if it is not cleaned. Cleaning calculus or tartar which is a layer of hardened plaque. It accumulates just above the gum line and is most common in people who do not get regular cleaning. Dental cleaning also removes any stains or discolouring from the teeth. Signs of tooth decay which can be examined visually. Signs of cysts, tumors etc. which can indicate cancer or any other dental disease. Along with this, if you already have dental treatments like fillings, crowns or dental implants, their evaluation will also be conducted as to their strength and whether they need replacement. It is recommended to go for dental cleaning and examination at least once in a year and if possible once in six months.